 With 18 total wavelengths available, CWDM is popular and a good start for most customers due to its relatively low cost and high increase in capacity versus a single data stream. 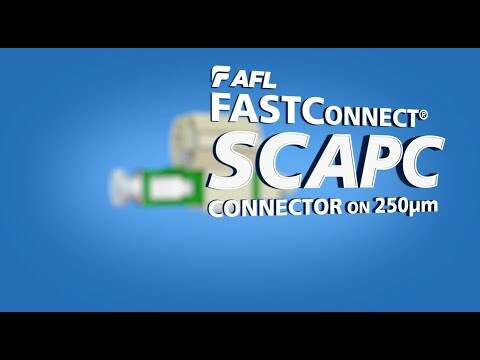 However, as bandwidth demands increase, it becomes necessary for those same customers to add additional capacity. 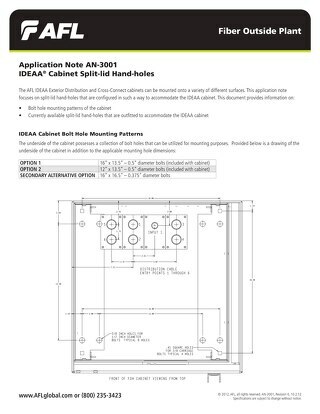 DWDM allows you to add this additional capacity without replacing your existing CWDM infrastructure and with minimal—if any—service interruption. 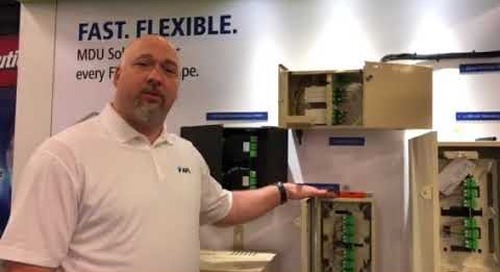 Kevin is talking MDU fiber connectivity at FiberConnect 2018. Come by booth #1507 and learn more. 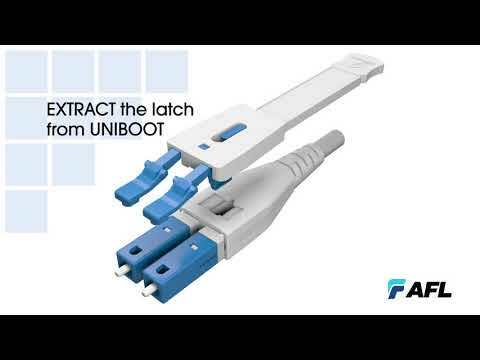 Instructions on using the AFL LC Push-Pull Uniboot Polarity Reversible Connector. 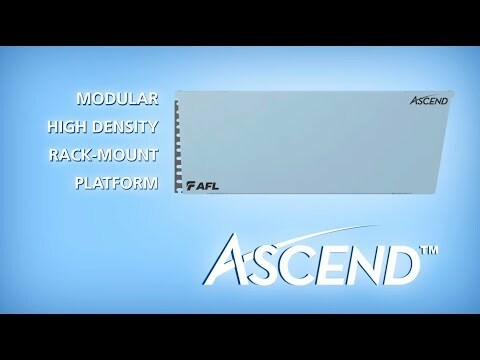 BTR Report interviews WIll Miller, OCA product line manager, about AFL's new CGM PLUS. 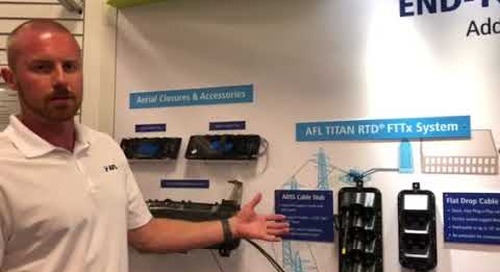 Will is at FiberConnect 2018 talking Outside Plant Connectivity, come by booth #1507 and learn more. 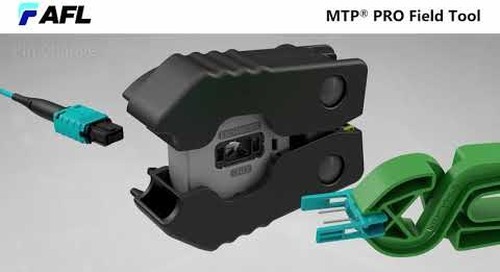 Choose the connector with features important to you. 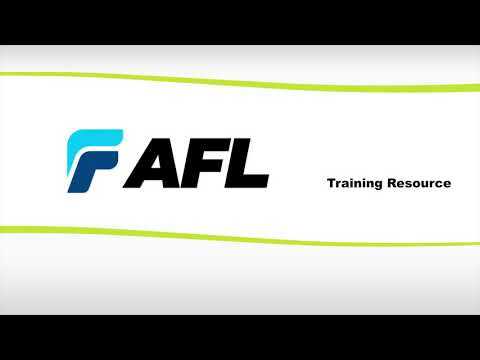 As the only company capable of providing every termination option, AFL let’s you be the termination expert. 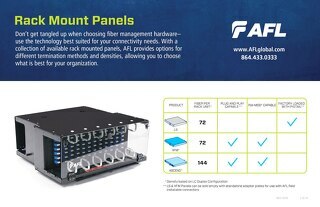 With a collection of available rack mounted panels, AFL provides options for different termination methods and densities, allowing you to choose what is best for your organization. 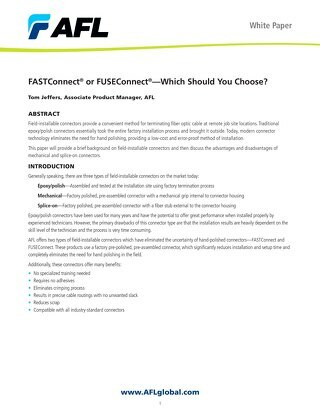 FASTConnect® or FUSEConnect®—Which Should You Choose? 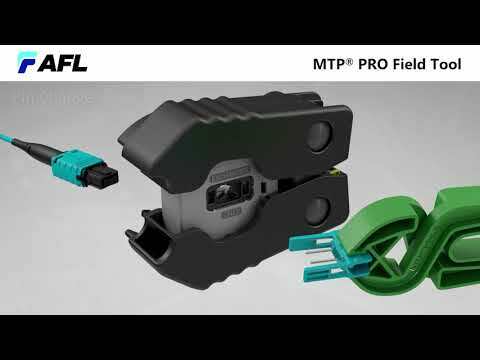 Field-installable connectors provide a convenient method for terminating fiber optic cable at remote job site locations. 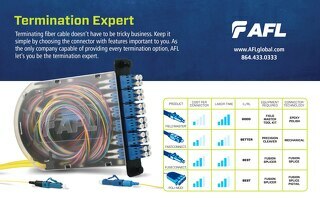 Many fiber access terminals in the industry are factory sealed and not designed for re-entry. 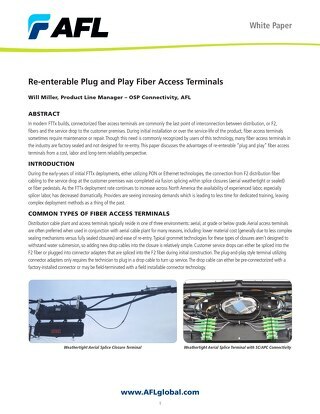 This paper discusses the advantages of of re-enterable “plug and play” fiber access terminals. 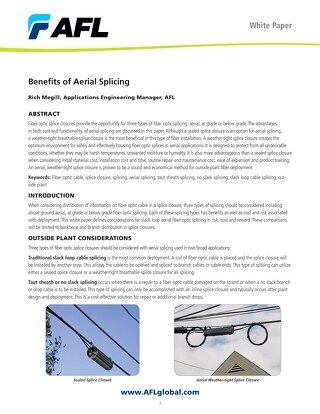 A weather-tight splice closure is the most beneficial fiber installation and it creates the optimum environment for safely and effectively housing fiber optic splices in aerial applications.